>Iran's supreme leader Ali Khamenei's comments on the nuclear talks Monday provided an unusual glimpse of diplomatic maneuvering by the U.S.-led coalition of five nuclear powers and Germany on the issue of enrichment capability to be allowed in a comprehensive agreement. But his remarks also suggested that Iran was responding with its own diplomatic maneuvre on the issue. Both sides appear to have put forward demands that they knew were non-starters with the intention of moderating their demands substantially in return for major concessions from the other side. 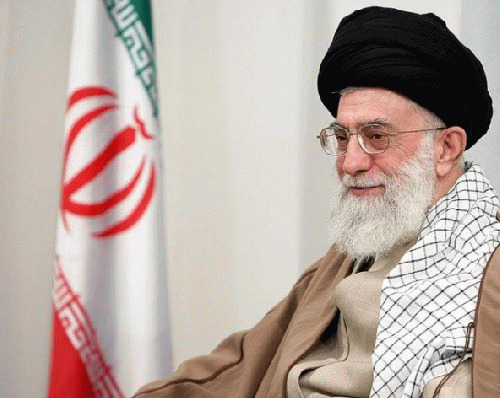 Khamenei described the United States and the P5+1 as demanding initially that Iran's annual enrichment capability be cut to the equivalent of as few as 500 to 1,000 centrifuges -- as little as 2.6 percent percent of its present level of 19,000 centrifuges. But he also suggested they were now aiming at getting Iran to accept a capability equivalent to the annual production of 10,000 centrifuges on the condition that it would be the final level for the duration of the agreement. "They seek to make Iran accept 10,000 SWUs, which means the products of 10,000 centrifuges of older type that we already have," said Khamenei in a speech to an audience that included President Hassan Rouhani. The P5+1 had "started with 500 SWU and 1,000 SWU," he said, referring to demands advanced by the P5+1 in the negotiations last month. The Iranian leader's assertion about the coalition's position last month is consistent with a statement by French Foreign Minister Laurent Fabius on Jun. 14 that "the West wants to slash the number of centrifuges" that Iran would be allowed to maintain to "several hundred." Secretary of State John Kerry had said in April that the U.S. intention was to demand very deep cuts in Iran's enrichment capability, arguing it was necessary to lengthen the time it would take Iran to turn its uranium enriched to 3.5 percent into enough weapons grade uranium for a single bomb to six to 12 months. What he did not acknowledge publicly, however, is that such cuts were not necessary to achieve such a lengthening of the "breakout" timeline, because it could be also be accomplished by the reduction of Iran's stockpile of low-enriched uranium and measures to avoid the accumulation of a new stockpile. Iran pledged as part of the interim agreement to begin the process of converting its UF6, the gaseous form of low-enriched uranium, into oxide powder, which would not be available for further enrichment without reversing the process. It is now ready to begin operating a new facility specifically devoted to that conversion, according to Reuters. Khamenei was suggesting that that the U.S. is now ready to accept a 10,000 SWU limit in return for Iran's agreeing to forsake the further increases that Iran has been insisting will be necessary. 10,000 SWU would coincide with Iran's current production capability, based on the 10,000 primitive first generation centrifuges that have been operational. Another 9,000 centrifuges have been installed but have never operated, apparently with the intention of using them as bargaining chips. In what appears to have been a response to the diplomatic maneuvre by the P5+1, Khamenei announced a new Iranian demand for an increase after 2021 to a level that is nearly twice as high as what independent experts have estimated is necessary to support the Bushehr reactor. Khamenei identified the level of enrichment capability that Iran's atomic energy organization would eventually require as "190,000 SWU." A group of Princeton University specialists estimated in a recent article on Iran's enrichment needs that it would require about 100,000 SWU to produce enough low enriched uranium to provide fuel for the Bushehr reactor -- the basis for Iran's demand for an increase. Khamenei also made a point of saying that the need was more than five years out, seeming to leave open the possibility that Iran would agree to hold off on adding the additional enrichment capacity he said was needed. "Maybe this need will not be for this year, or two years, or five years, but this is the final need of the country," Khamenei said. The head of Iran's atomic energy organization, Dr. Ali Akbar Salehi, who commented on the issue to various news outlets in Iran Wednesday, also employed a formula that avoided closing the door to negotiations on the question of when Iran would have to begin building more centrifuges. He told the Young Journalists' Club that 190,000 SWU "is our real need, the most basic need, in an eight-year outlook."